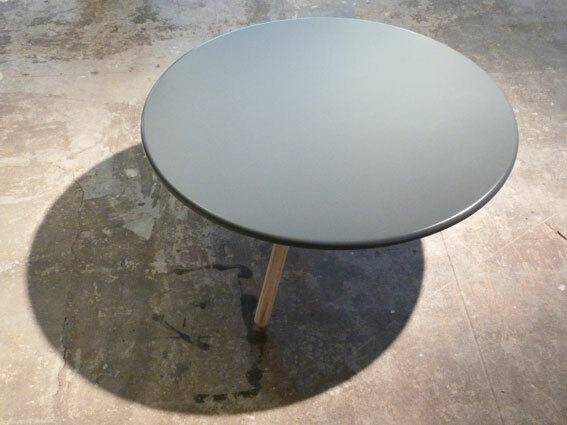 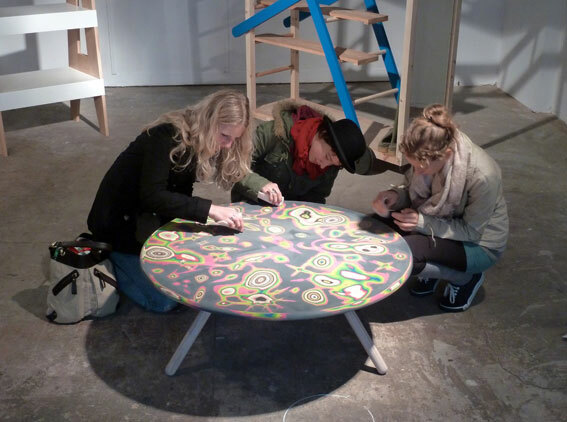 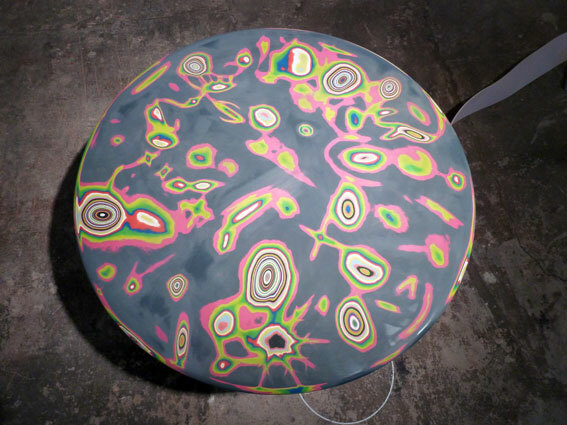 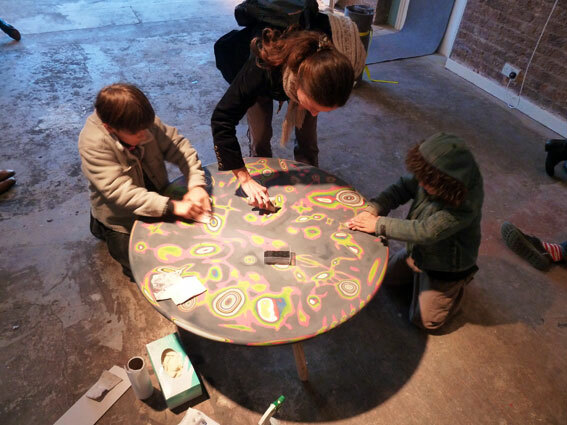 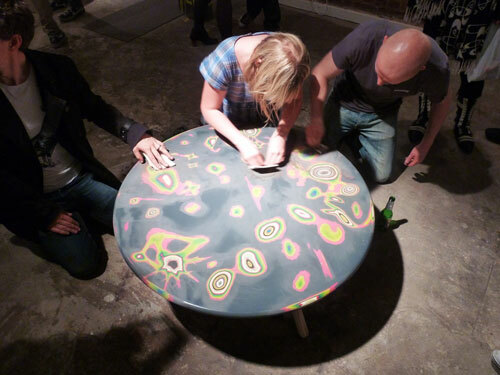 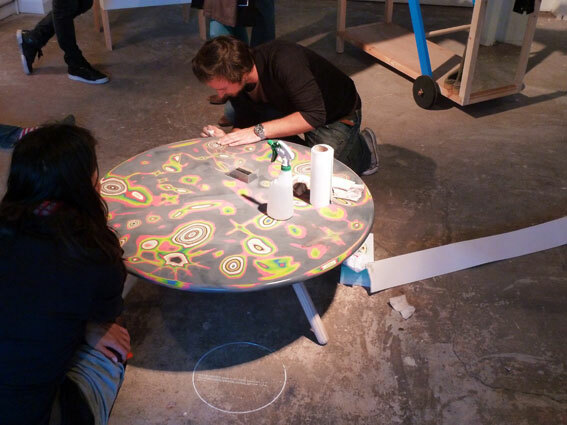 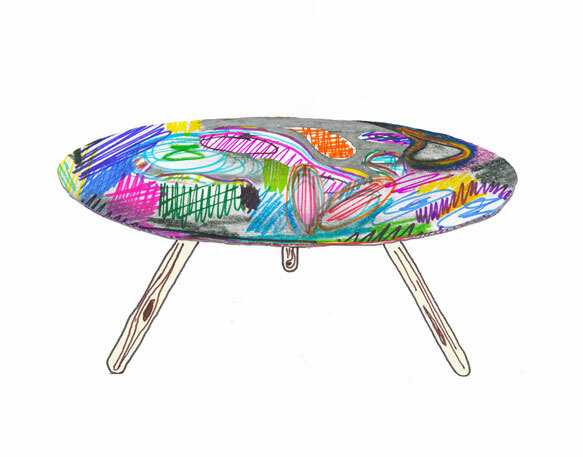 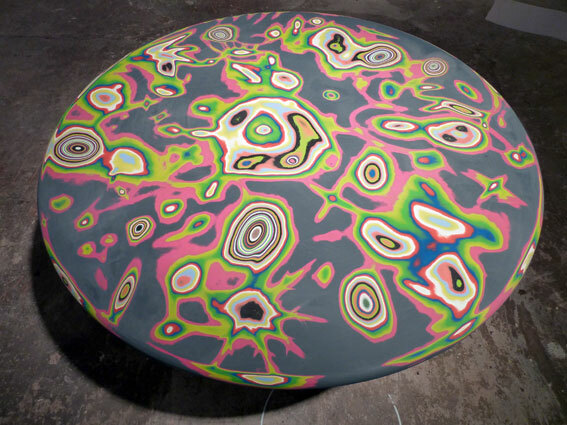 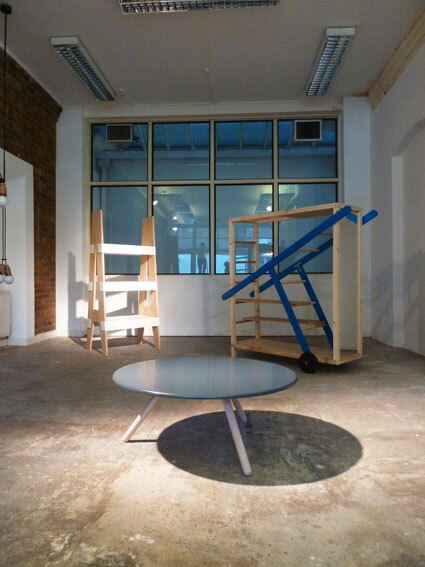 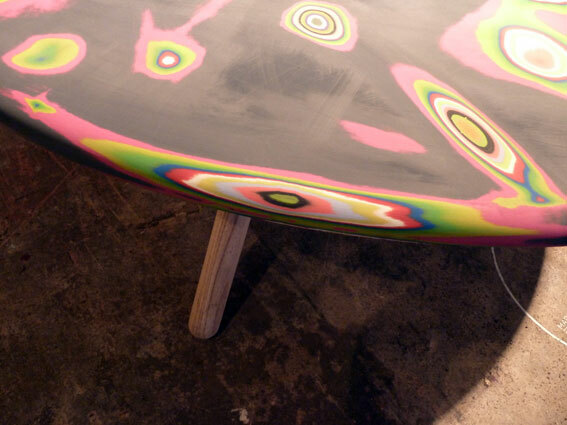 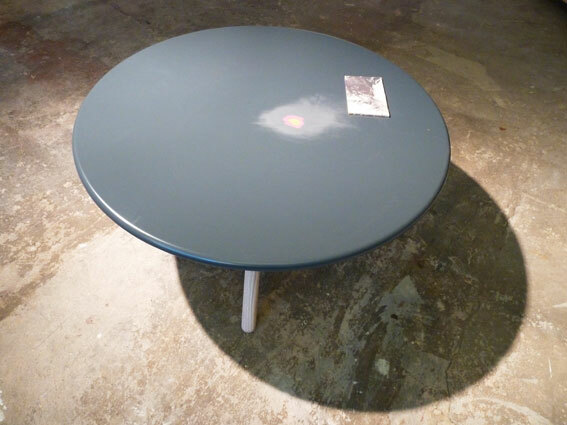 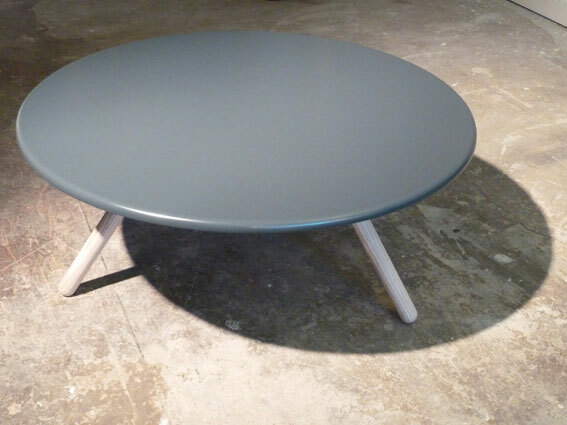 A coffee table which changes and develops with every visitor that leaves their mark. 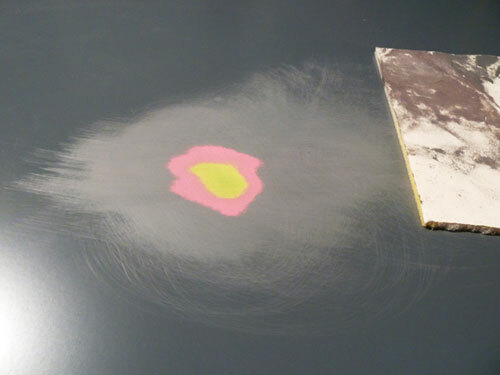 When we visit a place or a moment in time we often not only want to bring something back with us, but also leave our mark behind. 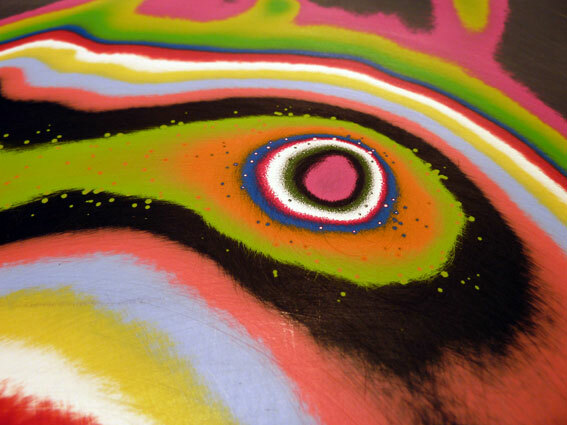 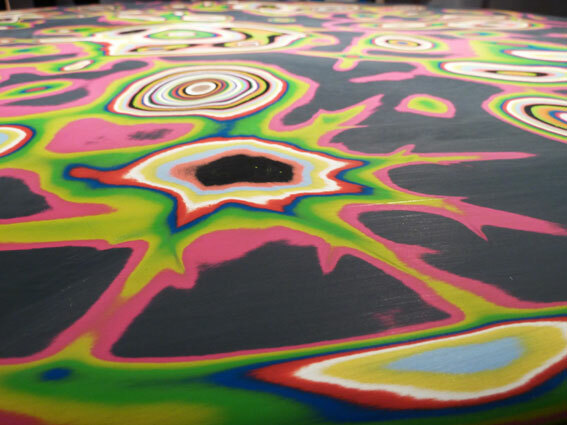 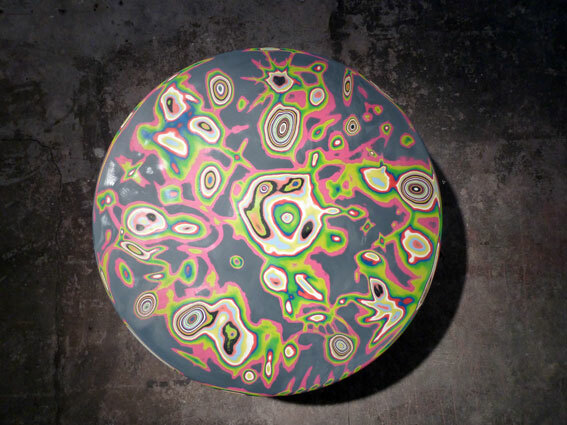 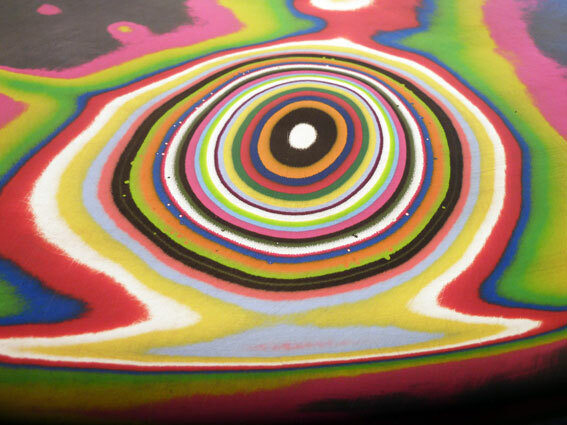 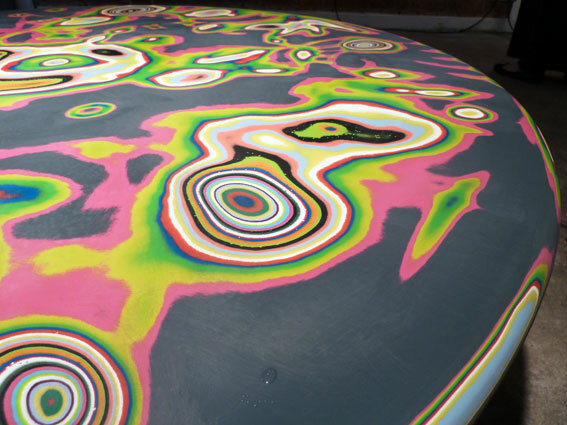 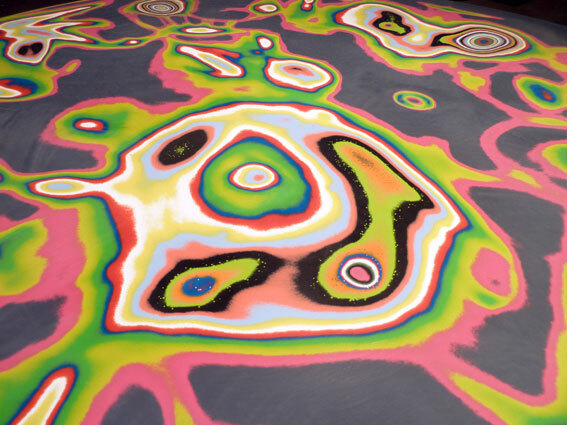 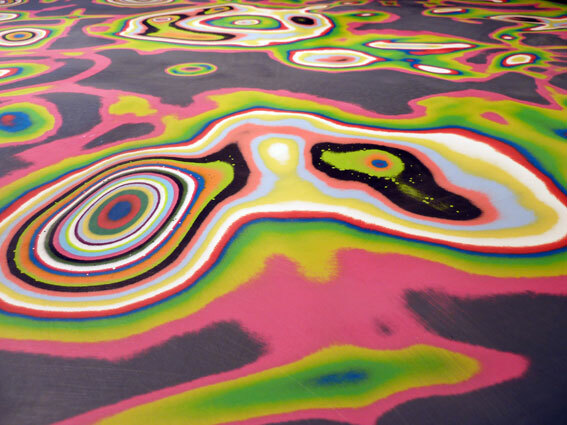 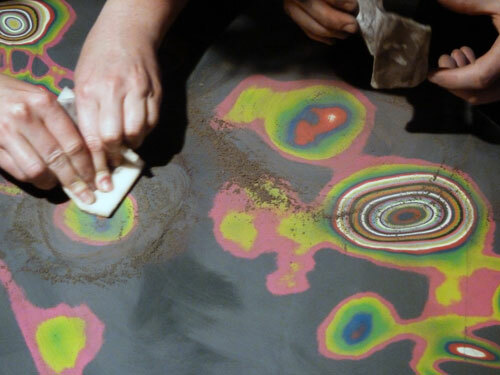 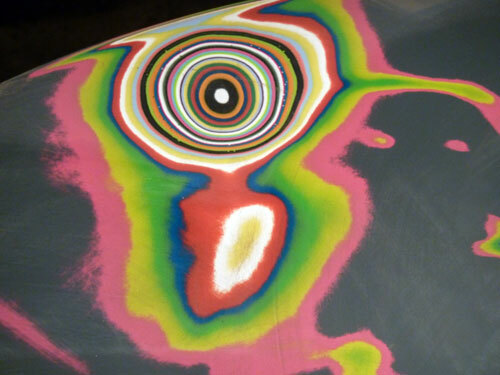 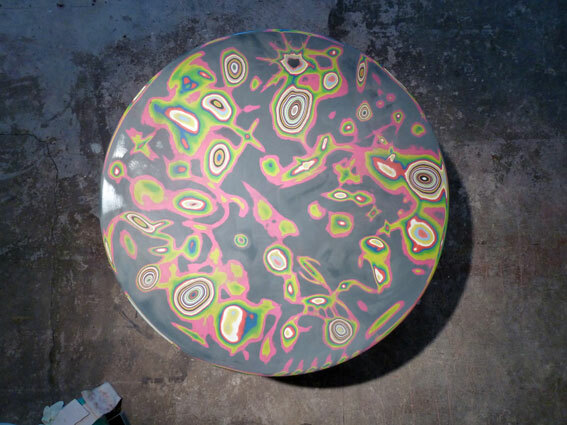 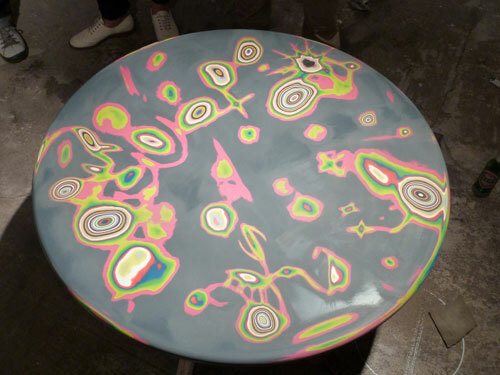 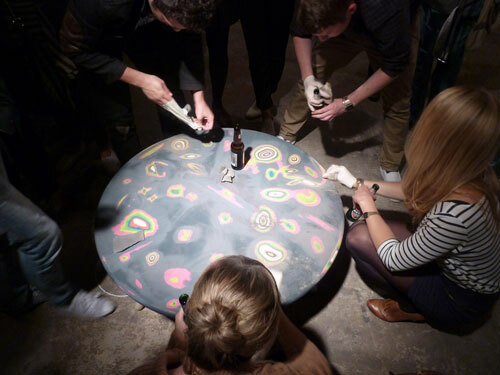 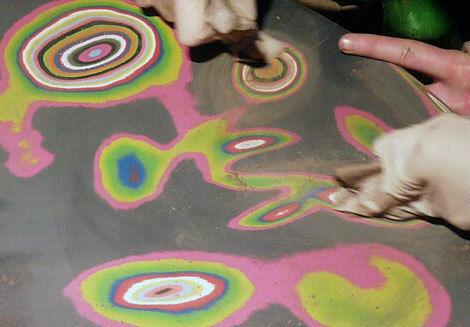 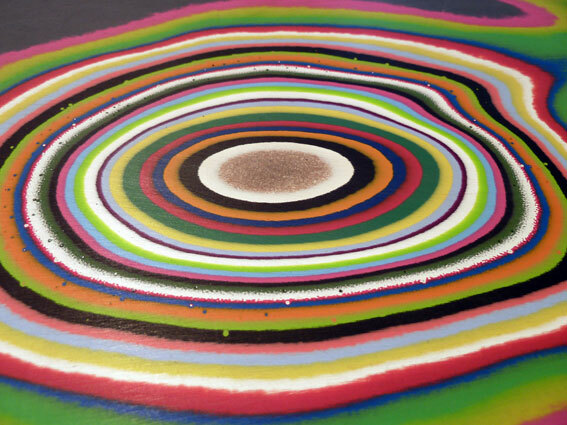 With a table top made up of fifty different coloured layers of paint, the visitors to the exhibition are encourage to sand their way through the surface to reveal a spectrum of colour, collectively manipulating the final appearance of the piece. 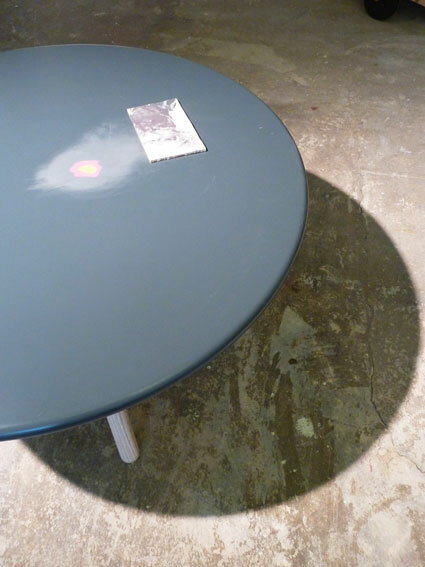 At the end of the exhibition the piece will be cleaned up and a clear lacquer applied to seal the finished product. 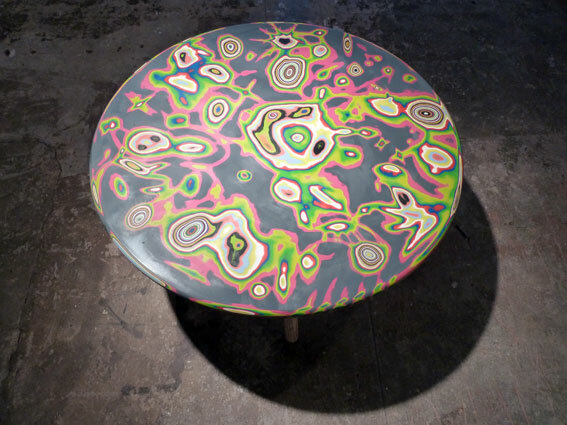 Ash wood, MDF, various paints.